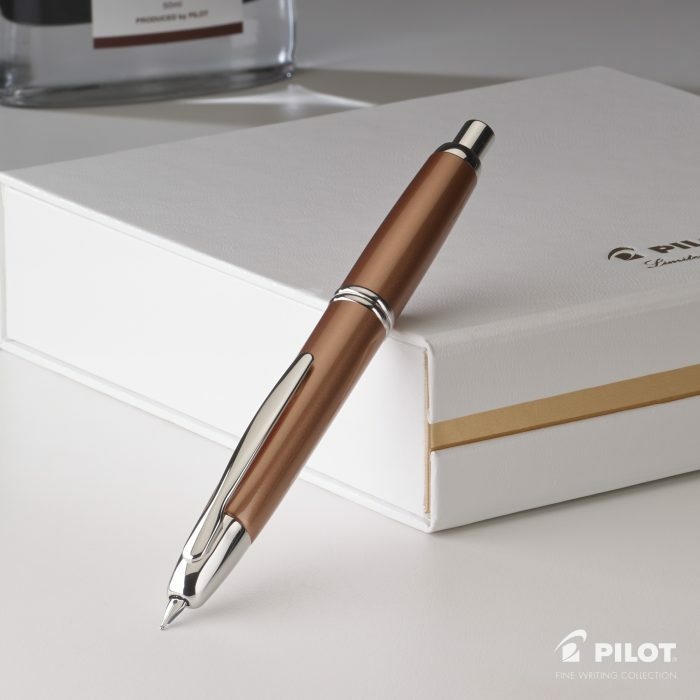 Pilot has released a new Limited Edition Vanishing Point fountain pen. This year’s color is copper. I think copper is a beautiful color, and the Vanishing Point looks fantastic in copper. While the pen looks fantastic, it is an expensive fountain pen, retailing around $200. As much as I’d love to have the pen, I can’t justify spending that kind of money on a pen. So for those of you that do pick it up, enjoy!